Google announced that it is bringing Google Wifi to the Philippines, in an exclusive partnership with PLDT. 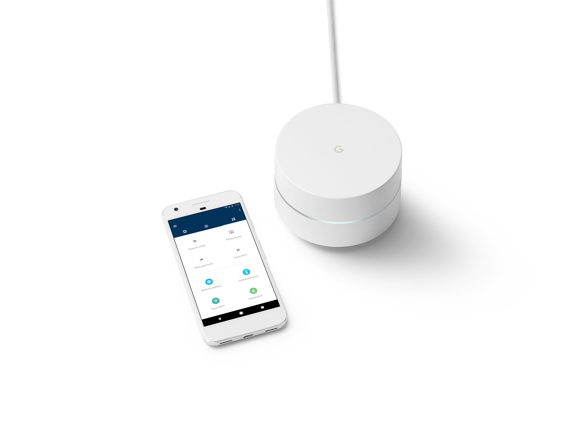 Google Wifi is a mesh networking system that puts an end to dead zones at home and ensuring strong and fast signals for all your connected devices. The Philippines is one of the first countries in Asia to introduce Google Wifi after Singapore, Hong Kong, and Japan. The GoogleWifi Plan 3799 is now available to all new PLDT Home Fibr customers. This plan comes with an unlimited 50Mbps Fibr connection and three Google Wifi points. On the other hand, existing PLDT Home Fibr customers can also avail of add-on Google Wifi units at Php299 for the 1-piece set, and Php799 for the 3-piece set. With Google Wifi, you no longer need to schedule an appointment with a technician to set up your new router. Google Wifi makes it so easy that you can do it yourself. Simply download the Google Wifi app available on Android or iOS and follow the step by step instructions, so you’ll be online in no time. With the Google Wifi app, you can also see which devices are connected to your network and how much bandwidth they’re using. Streaming your favorite scene from Riverdale on your TV? Give it more bandwidth and a faster connection by selecting it as a “Priority Device”. Now you can sit back and enjoy that episode uninterrupted by other devices in your home. Traditional Wi-Fi routers aren’t always built to support the increasing number of devices we use or high bandwidth activities like gaming or watching videos. Most of us just want our Wi-Fi to work fast at home, without spending time managing our network or pushing the reset button on the router. With Google Wifi, your device will always be placed on the channel with optimal Wi-Fi connection. Even as you are moving from room to room, Network Assist will automatically transition your device between the Google Wifi system points, keeping you connected to the point with the strongest signal so you avoid dead spots or delays. We know it’s tough to put a pause on your kid’s FIFA video game or get everyone to the dinner table. The Google Wifi app lets you pause Wi-Fi on your kids’ devices or create scheduled pauses for dinner time and bedtime, so you can fully engage in that mealtime conversation or squeeze in one more session of bedtime storytelling. Lights out, Wi-Fi out! The Google Wifi Plan 3799 is now available to all new PLDT Home Fibr customers. This plan comes with an unlimited 50Mbps Fibr connection and three Google Wifi points. On the other hand, existing PLDT Home Fibr customers can also avail of add-on Google Wifi units at Php299 for the 1-piece set, and Php799 for the 3-piece set.